This is a useful addition for any lamp or ceiling socket, when your shade is medium or large. If you've ever seen a beautiful shade such as a Tiffany with the light only highlighting the top of the shade, you know how practical an extender can be. 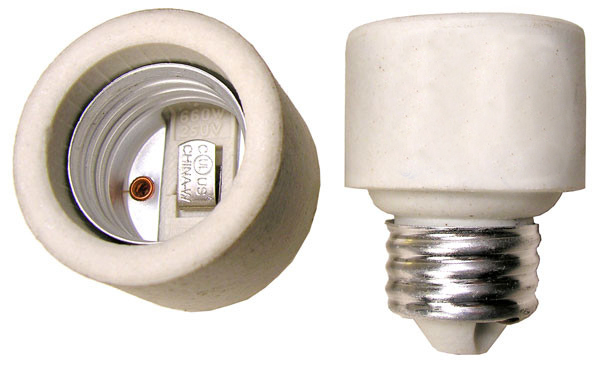 The porcelain extender allows the bulb to reach deeper into the shade. Each extender added about 1 1/2", and they can be used in multiples if you have a really deep old shade. 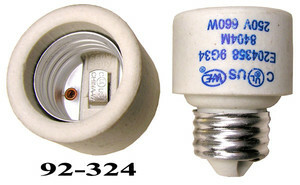 The socket size is standard or medium base.